Even those Capitol observers who are aware of the degree to which the Democratic-controlled Legislature is in the tank for public-sector unions might be shocked by the latest bill that’s making its way to the governor’s office. Legislators are about to require that private-sector workers in the home-care industry provide a wide range of personal information – home address, email contact, cellphone number – to any labor organization that wants it. Those unions would then be free, at their discretion, to pester these workers into joining the union. The bill only affects one industry, but the precedent is clear. How long before an ever-expanding list of private workers in California are subject to union organizers showing up at their doorstep and contacting them on their private emails and cell phones? The Service Employees International Union (SEIU) has already been able to unionize home healthcare workers receiving government payments to care for a loved one. Clearly, SEIU is expanding its horizons. In fact, the bill apparently is such a priority to the Democratic leadership that Senate President Pro Tempore Kevin de Leon, D-Los Angeles, recently stacked the Human Services Committee with three new Democratic members to assure its passage. It’s a highly unusual move to expand the size of a committee to assure passage of particular legislation. Assembly Bill 1513 ostensibly is designed to improve the licensure and regulation of home-care organizations – companies that provide aides to the homes of sick, disabled or elderly people to help them with laundry, cooking, showers and other basic needs. 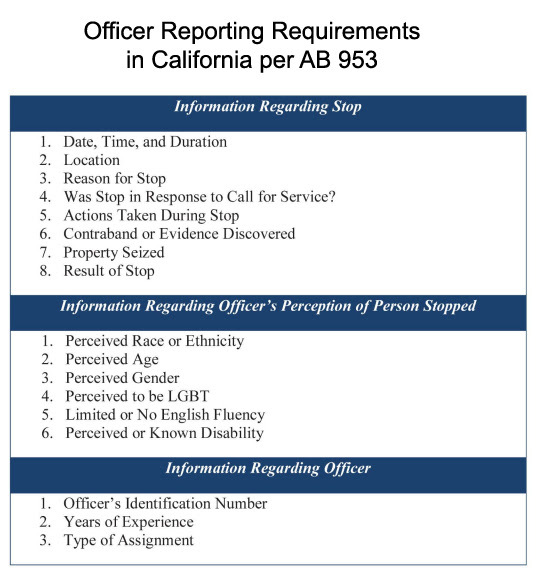 The state already requires aides to pass background checks, receive necessary training and register with the California Department of Social Services to help combat abuse. The aides must already provide their personal information to the state government. Clients can search an existing database to double-check the backgrounds of those who provide such work in their homes. This new Home Care Services Consumer Protection Act claims to improve home health services by allowing “home care aides the opportunity to benefit from information, resources and more,” according to Assemblyman Ash Kalra, D-San Jose. But the real purpose is to let the bill’s sponsor, SEIU, gain personal information for organizing purposes. There’s no need to speculate about the goal here. The previous version of the bill required employees to provide their personal information to the state, which would then provide the information “to a governmental or non-profit entity that provides training, educational classes, and other specified services …” upon that entity’s request. The newly amended bill requires “a copy of a registered home care aide’s name, mailing address, cellular telephone number, and email address on file with the department to be made available, upon request, to a labor organization.” The labor unions would be free to use the information for “employee organizing, representation and assistance activities.” That provides wide latitude with few restrictions. The bill includes an “opt out” mechanism, but that doesn’t offer much protection. A home-care worker would need to go through the trouble of trying to keep personal information out of the union’s grasp. And we’ve seen the problems with such a system in the current union dues-paying system. A 1977 U.S. Supreme Court ruling allows public employees to opt out of paying those portions of their dues that are used for direct political purposes. But employees who want to opt out often complain about the difficult and convoluted process of doing so. Obviously, unions – and the state government – have no reason to make such a process easy. This bill is nothing more than a union-organizing ploy. Again, the state government already has all the requisite personal information of those who provide home-care services. The public can search that information using an employee number. We’re talking about private employees of private companies working for private people. This is different from the Medicaid-funded In-Home Supportive Services (IHSS) system. Legislators also have recently passed two bills, as this writer detailed for the California Policy Center, that provide public-sector unions with unfettered on-the-job access to teachers and other government workers in order to provide seminars about union membership. That legislation is a pre-emptive effort in case the U.S. Supreme Court, as some expect, strikes down mandatory union membership. A.B. 1513 is even more noxious because it gives unions a right to contact employees of private companies outside of the job site. The bill also undermines a compromise that was hammered out between unions, legislators and Gov. Jerry Brown in 2013. That’s when the Legislature passed the previous version of the Home Care Services Consumer Protection Act to require the licensing and regulation of the private home-care industry. Unions had pushed for the inclusion of personal employee information back then, but concerns about privacy scuttled that idea. Now they’re back for the same thing again and are likely to get the bill through because of De Leon’s committee-packing efforts. De Leon removed Sen. Josh Newman, D-Fullerton, and added Democratic Sens. Connie Leyva of Chino, Mike McGuire of Healdsburg and Anthony Portantino of La Cañada-Flintridge. Newman is facing a recall, so this takes him off of the hot seat on a controversial union vote in conservative-leaning Orange County. Ironically, Democratic legislators often have tried to enhance the privacy of public employees with a variety of bills. Yet when it comes to private-sector employees, the Legislature is more than happy to let union organizers know exactly where they live – and even have access to their cell-phone numbers and email addresses. That’s for sure. But even worse – home-care workers could now be subject to unwanted visits from Nick the Union Organizer. And how long will it be before other unions follow this lead and coerce the Legislature to hand over your personal information? Members of California’s largest public employee union have voted 92 percent in favor of a strike vote as its members seek new labor contracts with the state, the union announced Tuesday. The Service Employees International Union Local 1000 represents about 95,000 state employees, many of whom are office and administrative workers, librarians, engineers and nurses. Both sides have been bargaining since April, and they were scheduled to resume Tuesday, the union said. California’s largest teachers union has given more than $13 million to the effort to extend income tax hikes on California’s highest earners, according to newly released state campaign finance reports. The report shows the California Teachers Assn. gave $3 million between April and June this year, in addition to the $10 million the union donated last month. Confronted with an impending hike to $15 in the California minimum wage, businesses, labor advocates and political analysts have all begun to shift strategies and tactics. Given current trends, the combined impact could be a smaller, more unionized workforce — that doesn’t always see the benefits wage activists have promised. The consequences will be quick and could be dramatic. “Most state raises over the past decade, when there have been any, ranged from 1 percent to 3 percent annually. The law Gov. Jerry Brown signed will increase bottom-rung pay roughly 10 percent per year starting in January,” as the Sacramento Bee reported. According to critics of the change, the tension involved in using poor economic choices to encourage good moral ones has driven labor unions themselves toward a predictable, if hypocritical, shift in their own policy objectives. Many of the same unions that agitated for a higher wage “have been quietly — and often successfully — lobbying cities to let employers who hire union workers pay them less than the mandated minimum,” as Quartz observed. “Unions say it gives them the flexibility to negotiate packages for their workers that supplant wages with health insurance and other benefits. The state Capitol building in Sacramento is a popular destination for school groups. The kids tour the historic legislative chambers, while adults explain how laws are made. There you’ll get a good look at how it’s really done. Peek into the laboratory as the mad scientist pieces together grisly remains from the local graveyard, while the villagers assemble outside with pitchforks and torches. Consider, for example, the $15 minimum wage law. On the Saturday night before Easter, word escaped from Dr. Frankenstein’s lab that Gov. Jerry Brown had made a deal with labor union leaders and state lawmakers to ratchet up California’s minimum wage to $15 an hour and beyond. In January, Brown warned that a minimum wage hike of that magnitude would “put a lot of poor people out of work” and would be too costly for taxpayers. The state is an employer, too, and those wage hikes would add $4 billion to the annual budget by 2021. But everything changed because of an unfortunate accident in the laboratory in 2014 that caused the state’s beloved initiative process to mutate. When the smoke cleared, initiatives could no longer appear on the June ballot, but were pushed into a November crowd scene. And suddenly new initiatives were born with a cord around their necks. This allowed their sponsors to yank them back if a deal for similar legislation could be reached in time. In the latest experiment, two of Dr. Frankenstein’s trusted assistants, the Service Employees International Union state council and SEIU-United Healthcare Workers West, created competing $15 minimum wage initiatives. The unions hired costly consultants to qualify the measures for the ballot, paying $3 or $4 for each voter signature on the petitions. In earlier years, signatures could be had for a dollar or two, but the crowded field for November pushed prices up. On March 22, the health care workers union announced that their initiative had qualified for the ballot with 423,236 signatures. They put Gov. Brown on notice that unless he signed a state law to raise the minimum wage to $15, they were taking it to the voters. Four days later, the pre-Easter deal was announced. Work in the laboratory commenced immediately on a long-buried minimum wage bill that had passed the state Senate in 2015. With a few spare parts grafted in place, the Assembly Appropriations Committee passed it in 90 minutes and sent it to the Assembly floor. Within 24 hours, the creature was passed by the Assembly and state Senate and sent to the governor’s desk. Soon the thing will be fully electrified and walking around California. You’ll feel it taking extra money out of your pocket every time you shop, eat or pick up dry cleaning. The business community could gather signatures for a referendum to repeal the law. Ballot fights cost many millions of dollars for advertising, but initiatives are inexpensive bargaining chips now that they can be withdrawn after they qualify. It’s all cooked up secretly in the laboratory or in the back room of the local inn, where sometimes the villagers and their torches win a few concessions. And that’s how laws are made in California. What would happen to our health care system if we took the advice of some politicians and turned it into “Medicare for all,” a single-payer plan? Right now in California, there is a story of hospitals, nuns, hedge funds, corruption, the state Attorney General and union bosses that may hold the answer to that question. The story begins in Paris, where the Daughters of Charity religious order was founded in 1633, dedicated to serving the poor. The Daughters came to America in the 1800s, and by 1991, their highly respected nationwide chain of nonprofit Catholic hospitals had $3.1 billion in annual net revenues and a top credit rating. Six hospitals in California, including St. Vincent Medical Center in Los Angeles, became the Daughters of Charity Health System in 2002. By 2013 they were losing $10 million every month. Why? DCHS said three-quarters of its patients were covered by government health programs, which pay less than private insurers. The recession made it worse as more people lost their jobs and health benefits, and then the government cut back further, slashing Medi-Cal rates that reimbursed providers for low-income patient care. DCHS also cited the “volume and mix of services” and the “employee salary/benefits structure” as causes of the financial bleeding. The nonprofit chain put itself up for sale in 2014, hoping to find a buyer that would preserve the pensions of current and retired employees, repay debts, honor existing union contracts, and maintain services. And they did. Prime Healthcare Services, based in Ontario, California, made an offer of $843 million to buy DCHS. But under state law, nonprofit hospitals can’t change hands without the approval of the California Attorney General. And that gave Prime Healthcare’s longtime enemy, the Service Employees International Union and its affiliate, United Healthcare Workers West, the power to blow up the deal. In July, 2014, UHW president Dave Regan met with Prime CEO Dr. Prem Reddy and told him, according to court documents, “that he would prevent the sale unless Prime allowed UHW to unionize hospital workers at all of Prime’s hospitals.” Prime refused Regan’s demand. The union allegedly told Attorney General Kamala Harris that if she blocked Prime’s acquisition of DCHS, they’d spend $25 million to get her elected to the U.S. Senate in 2016, and threatened that if she didn’t, they would spend the money to elect somebody else. Harris gave conditional approval to the deal but added poison-pill requirements, including an order to run the hospitals without any changes for 10 years, which would have continued the financial meltdown. Prime walked away. The Daughters of Charity filed a lawsuit against the SEIU-UHW in Santa Clara County Superior Court, accusing the unions of extortion and of chilling bids from other suitors by threatening to block the attorney general’s approval. Then Prime Healthcare Services filed a lawsuit in federal court accusing Kamala Harris of corruptly abusing her power in an illegal scheme to gain financial support of her political career. The story is told in disturbing detail in the combined 85 pages of the complaints. Now a New York-based hedge fund, which has never run a hospital, has offered to take over the management of DCHS. BlueMountain Capital Management would pump $250 million into the nonprofit chain, take 4 percent of annual revenue as a management fee, and have an option to buy the hospitals after three years. Harris has granted conditional approval, and BlueMountain is presently reviewing the conditions, which include providing services and charity care for ten years. If the deal falls through again, DCHS could enter bankruptcy. Pensions could be lost and the hospitals could close, costing 7,600 jobs and depriving the communities of local health care services. Twelve million people are now enrolled in Medi-Cal — one in three state residents — and the number could go higher. How many hospitals will go bankrupt providing legally required services for below-cost reimbursements? Imagine what would happen if all of American health care was run that way. It’s easy for politicians to decree that services shall be provided and fees shall be reduced. It’s even easier for them to help their friends get lucrative contracts, and to collect campaign cash as a tip for good service. What’s not easy is persuading anyone to go to medical school or build hospitals when politicians control health care. Too bad no one has ever been cured by a hedge fund seeking a tax loss.